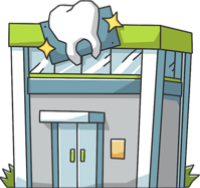 These are the most common insurances accepted by Dentists in Orlando, FL. I have been treated by Dr. Batta's office well over ten years and have not had any problems with the dentists, hygenist, nor office personal. The offfice personal are friendly and helpful.. I took myself and my six year old daughter to this location today. Excellent service, beautiful facility and the staff are so friendly and informative. Will definitely refer others and go back in six months! My daughter was very relaxed and happy with her x-rays and exam. Great place for kids.. They are awesome... and they are nice to my kids. Any work I need done I will be heading here. A very professional kids friendly Staff and a lovely welcoming environment. Doctor was very informative and kids had a blast. I had a 7 years old and a 3 years old for her first check up and they are both asking me when we are going back there again�.